Srinagar: Security forces have gone very forcefully after the Jaish-e-Mohammad (JeM) militant outfit in the wake of February 14 Pulwama attack and have succeeded in eliminating its leadership in Kashmir, a top Army officer said in Srinagar on Monday. General Officer Commanding (GoC) of the Srinagar-based Chinar Corps, Lt Gen K J S Dhillon, told a press conference that the security forces have killed 18 militants, including Jaish-e-Mohammed’s second-in-command, over 21 days. “We have gone very forcefully after the JeM, and we have reasonably succeeded in our aim of eliminating them at the earliest so that they are not able to carry out a Pulwama-like attack,” he said. 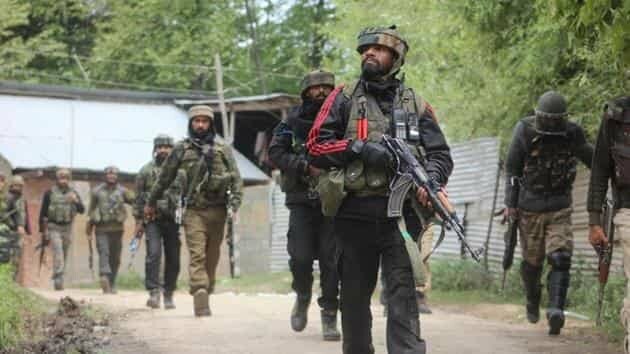 Of the 18 militants killed, 14 belonged to JeM including its “six main commanders”, the Lt. Gen., flanked by IGP Kashmir S P Pani and IG CRPF Zulfiqar Hassan, said. “We have also eliminated JeM’s second-in-command Mudasir Khan, the main conspirator in the attack on a CRPF convoy on February 14. He was active for more than a year,” he said. Of the militants killed, eight were from Pakistan and 10 were locals, including two each of Lashkar-e-Toiba and Hizbul Mujahideen, he said. “Our emphasis after the February 14 attack has been on elimination of the JeM leadership and we have been very successful in doing that in about three weeks since the attack The leadership of the JeM has been hit very badly, he said. Referring to the encounter in Pinglish area of Tral, the IG CRPF said it was “doubly” significant for the paramilitary force as Mudasir was involved in the 2017 Lethpora camp attack as well. “It was a clean operation, but our job is not done yet. Very important players in the dramatis personae still remain the people who motivated and radicalised Mudasir, those who gave him explosives and other means to carry out these attacks. We are working in close coordination with the NIA,” he said. IGP Kashmir said Mudasir lured youths into militancy. “Initial inputs about Mudasir started surfacing a year ago and subsequently, he joined JeM. The operations over the last fortnight have caused a lot of damage to the outfit,” he said. Pani said the militant recruitment in the last three months has also come down significantly. Also, participation in funeral processions of militants has reduced. “Of course, there are miscreants who try to do these things, but police are keeping a watch,” Pani said. Asked if Mudasir made the IED used in the Pulwama attack, Lt Gen Dhillon said as the main conspirator, he helped and coordinated the attack, but it is a matter of investigation whether he himself made the IED. “Pakistan has not been able to hit the army (targets), so it is hitting civilians. But, the Indian Army has given a befitting reply and we have hit their military targets,” he said.